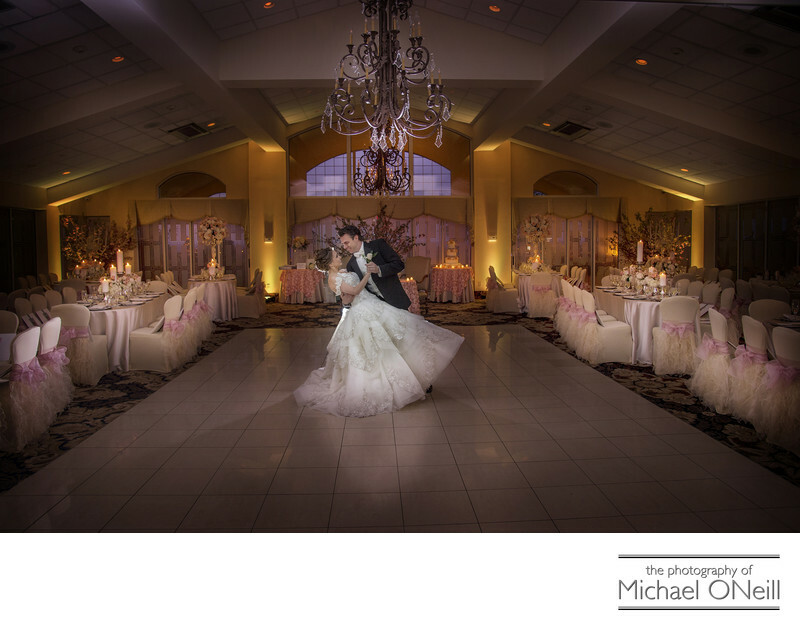 People just love this room shot of the bride and groom practicing for their choreographed first dance just prior to their wedding reception. The ballroom is located within Lombardi’s on the Sound, an extraordinary catering facility overlooking the Long Island Sound at the Port Jefferson Country Club at Harbor Hills (in the Belle Terre section of Port Jefferson, NY). Truly one of the finest LI waterfront reception venues, Lombardi’s on the Sound offers magnificent water views, fabulous food and impeccable service. I captured this intimate moment just minutes before the bride and groom’s guests were going to enter the ballroom from the waterfront deck where their cocktail hour was held. I see many wedding couples doing professionally choreographed first dance events these days. Must be the influence of television favorites such as "DWTS" (Dancing with the Stars) and "So You Think You Can Dance". To this couple it was no stretch...the groom being a professional Broadway actor and the bride being a professional Disney dancer. Their dance moves were flawless as they performed in front of their friends, family and bridal party.